In fact, silver is a fantastic option. Investing in precious metals enables people to rely less on the volatile stock market and regain some control over their financial future. Better yet, the demand for silver isn’t going away any time soon, making it a unique investment you that can count on. Before most people begin buying up silver, they want to understand some basic, key facts. Such as, where does silver come from? And, how much silver is currently left? What drives the silver price? Most importantly, is there really a demand for the precious metal? 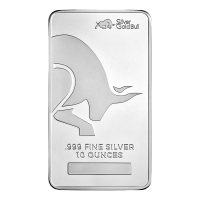 Silver Gold Bull is the authoritative source for all things silver online. Explore some of the most interesting facts about silver, its history and several important factors around silver price and demand. Let’s dive in. Silver is found in many countries around the world and is currently mined globally. The largest deposits of silver are typically found in Mexico. Other silver producing countries include the United States, Peru, Chile, and Canada. There are said to be more than 58 countries worldwide where silver has been found. Although occasionally silver is found in nuggets, more often it is found in combination with several other minerals. This requires the precious metal to be further extracted and properly isolated. The silver mining process is really labor intensive and generally the metal is expensive to mine. How Much Silver is Currently Left? 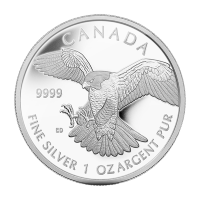 The United States Geological Service (USGS) predicts that silver may be the first element to go extinct! This is because globally, we use silver in a huge variety of products. Silver is commonly used in electronics, jewelry, silverware, batteries and many, many others. 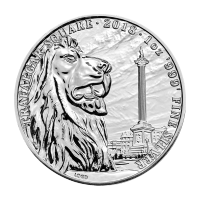 Although there isn’t an exact estimation of how much silver there is left globally, ultimately, the demand for silver is growing faster than it can be minded. This scenario creates a supply and demand scenario that is incredibly appealing to investors. For those looking to capitalize on the current low silver price, the time to invest in this precious metal is now. We’ll cover more on this topic later. Does the Silver Price Fluctuate? In a nutshell, yes, the silver price does fluctuate. If you’re looking for a consistent and steady investment, silver may not be the best option for you to consider. However, if the fluctuating silver price doesn’t scare you, and you’re looking to invest in a precious metal that has huge potential, silver is a great option. The silver price is dictated by several factors. First, the type of market will affect the price of the metal. For example, during a bull market, the silver price will typically rise more than gold. Although it’s impossible to say for sure what type of market we may experience next, many experts believe we’re on the brink of a bull market. Additionally, investors can look to the strength of the US dollar to gauge the price of silver. Historically, when the US dollar is strong, the price of silver drops. In contrast, when the dollar weakens, the silver price typically will increase. Is There a Demand for Silver? 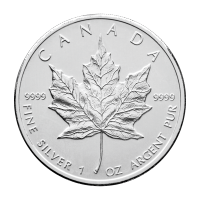 As we’ve previously mentioned, there is an increasing demand for silver. Around the globe, people are buying silver in huge quantities. Specifically, there has been a major increase in the use of silver in a variety of industries in China. As the Chinese continue to combat their pollution issue, they have turned to silver for solar power purposes. The tech industry also heavily relies on silver. Silver is commonly found in our cellphones, tablets, and a variety of other electronic devices. Silver is also commonly used throughout the medical device field. Another factor that determines the demand for silver is actually the US Mint, and other mints around the world. Most people assume that national mints only play a role in the demand for gold but they also affect silver price and consumption, too. Silver bullion is bought and sold around the globe by central banks for many reasons. Is Silver a Smart Investment? Silver can play a very valuable role in your financial portfolio. Consider this: you could work your entire life and invest all your savings into the stock market. Unfortunately, we’ve seen (many times) what happens to people’s life savings when the stock market crashes. They disappear overnight. What would you do if that happened to you and your family? Could you get through it? That might be a scary thought, but it’s one to consider. Investing in silver gives you more options when it comes to your retirement plan. Wouldn’t it be nice not to have all of your eggs in just one basket? As we mentioned above, mints around the globe rely on silver as a valuable form of monetary exchange. 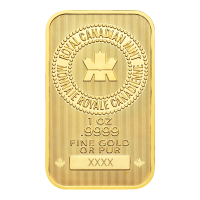 It’s accepted across the world, and similar to gold, it has continued to hold its value over time. Despite its growing demand, today you can invest in silver for less than $20 *USD*. This allows you to enter the world of precious metals for far less than gold. 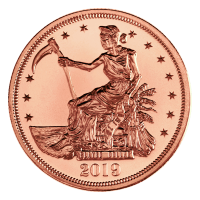 It also lets you get comfortable with a new type of investment, as you learn the benefits of capitalizing on the precious metal. Overtime, as you learn more about the benefits of buying silver and become more comfortable spending money on it, you’ll also have the added bonus of saving more money when you purchase larger quantities online. It’s time to consider the important facts about silver such as where it can be found, the demand and how it’s most commonly used. If you’re convinced it could be a smart investment option for you, Silver Gold Bull can help. 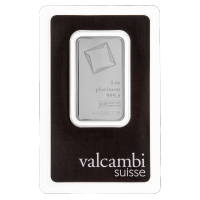 We have a massive inventory of silver for you to shop from. Our customer support team is very knowledge about precious metals and can answer any questions you may have. 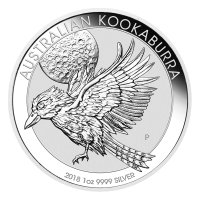 For additional information on silver, explore why silver is a popular introduction to buying bullion as well as the current state of silver demand, and how it’s affecting the silver price.